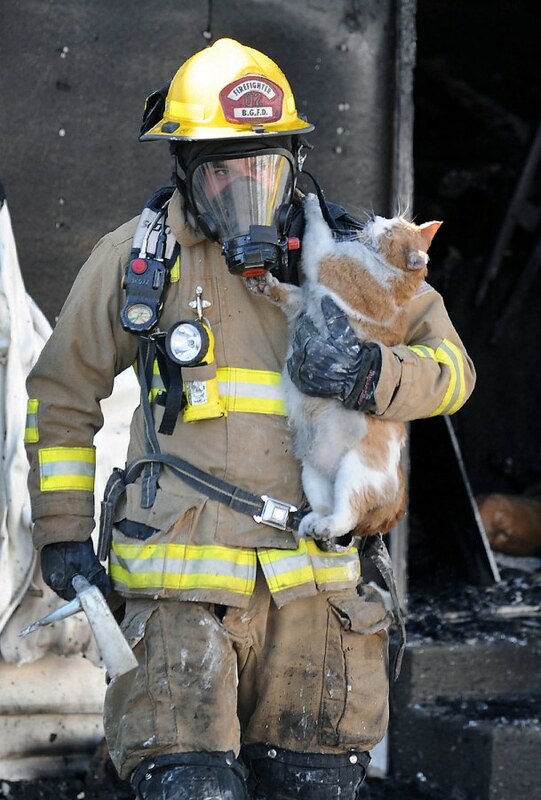 Bowling Green, Ky., firefighter Jacob Lee rescues a cat from a fire at an apartment complex Friday, Sept. 30, in Bowling Green, Ky. Several residents were forced to jump from the second floor to escape the flames. No injuries were reported. 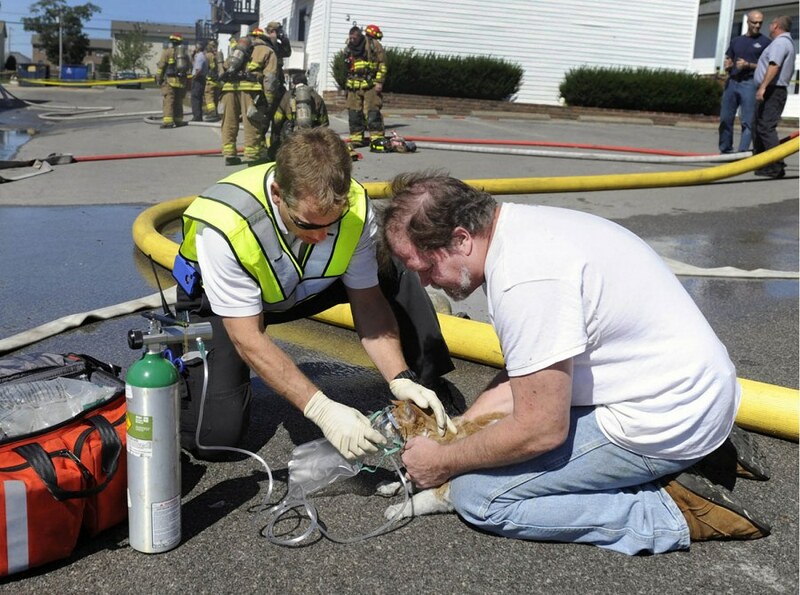 Medical Center paramedic Don Brod, left, gives oxygen to a cat, Charlie, belonging to Jack VanSlooten, right, at an apartment complex fire Friday, Sept. 30, 20011, in Bowling Green, Ky.